Does a snow vacation catch your fancy after a great summer of sea kayaking adventures? 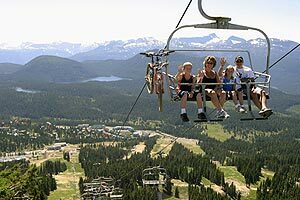 Then, take a winter or summer escape to the alpine village of Mount Washington on Vancouver Island. Like the attraction of Tofino, Victoria or Qualicum Beach, Mount Washington has a great deal to offer. The Mount will be featuring it’s NEW SIP LINE for the summer of 2019. This adds to the mountain biking and fat tire biking available on the mountain. With stunning panoramic views of the Comox Valley Glacier, the high mountains of Strathcona Park and the Salish Sea…you cannot get a better view from any other spot on Vancouver Island. Mount Washington is one of the most spectacular coastal alpine settings in North America, making it the perfect destination for winter skiing or summer hiking. When you leave your accommodations to us, you’ll choose from two and three-day condo rentals with two bedrooms and two baths, ski-in/ski-out access, and private parking, all within footsteps of Mount Washington and Strathcona Park. Mt. 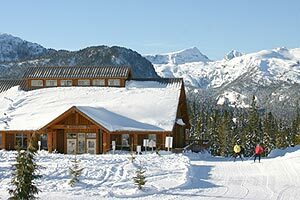 Washington receives a legendary 10.5 metres of annual snowfall, and the resort is acknowledged as the home of Canada’s deepest snow pack. In the summer the Alpine is easily accessed with a combination of cedar trails and boardwalks that lead to pristine wilderness. After a day on the slopes or a day in the mountains, you can head to the Alpine lodge for Après ski activities, including shopping, dining, or just relaxing by the fire. Don’t end your ski trip without a visit to the Ozone snow tubing park for snow sliding fun for the whole family. Looking for ski packages to Mount Washington? Get in touch with us for condo accommodations at the base of Mount Washington by calling 1-250-756-0094 or contacting us online. Summer Activities at Mount Washington.